Geoff Barton. Head. Teacher. Leader. 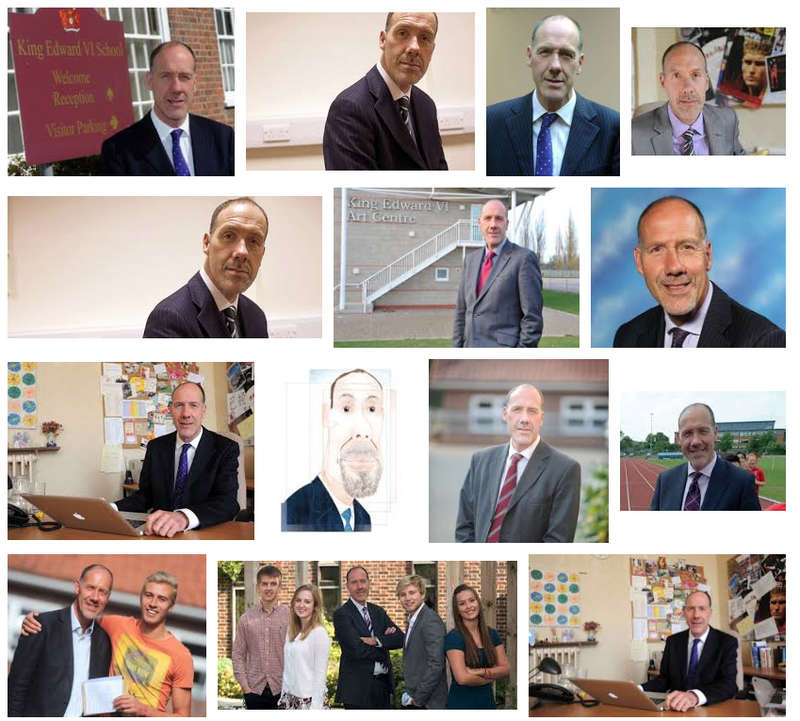 With just under a week to go until the voting deadline, I’ve decided to end my self-imposed blog sabbatical to join the throng of school and academy leaders who have voiced their support for Geoff Barton in the election for General Secretary of ASCL. This election has huge significance for me as a member of ASCL – but it is also incredibly important for the future of education policy in this country. Now more than ever, as we continue down the rapids of turbulent change with no end in sight, we need our professional association to represent us – not just as individuals but as a group of professionals engaged in the most important work there is. We need ASCL to be a force to be reckoned with; powerful, principled and purposeful; a campaigning voice heard loud and clear amid the noisy machinations of politics and policy-making. To achieve that goal, ASCL needs a true leader; someone with the authenticity and experience to truly understand members’ perspectives; someone actively engaged with schools and academies of all kinds; someone with the skills to negotiate and persuade but also the courage to challenge the status quo. Perhaps above all we need someone with an inspiring optimistic vision for what might be possible if ministers make the right decisions. Fortunately, Geoff Barton has stepped forward and we have the opportunity to elect exactly the kind of leader we need. Ever since I first heard Geoff deliver an insightful conference session on literacy – on making the implicit explicit – I’ve admired him as a role model for school leadership; someone who can walk the talk; someone who understands the joys and challenges of the job. In Geoff’s hands, a literacy strategy is more than a set of technical tools to support reading; it’s a weapon of social justice; it matters. Similarly, back in 2012 when Ofqual decided to pull the plug on Speaking and Listening part-way through the English GCSE courses of hundreds of thousands of students, Geoff’s principled, grounded leadership came to the fore. He was prepared to step forward, channelling the frustrations of leaders across the system into a serious, coordinated campaign that needed to be listened to. When Geoff decided to step forward to contest the ASCL General Secretary election, I was delighted. I understand his doubts about simply making a formal application; it’s hard to trust a selection process that is run by people you know you disagree with on some fundamental aspects of the organisation’s direction and purpose. The constitution provides for the membership to choose and it’s absolutely beyond question that this is a far better way to appoint our leader (let’s do this every time!) ASCL members have the right to choose so it’s not merely left to a sub-group of officials that most of us know nothing about. Even in his decision to stand, Geoff has demonstrated the qualities of the leader ASCL needs. In Geoff”s Final Countdown blog: he summarises his pitch to the ASCL electorate in his own words and highlights some of this recent articles and blogs by key supporters from the full range of schools and academies. I think he has conducted his campaign superbly well, modelling the statesman-like qualities we’d expect from the future leader of our association – all while continuing to run an enormous school. He understands the key priorities and knows how to mobilise people inside ASCL and across the membership. If you’re left in any doubt after reading what Geoff has to say, take a quick look at John Tomsett’s blog. This is largely just a prompt to view this short video clip of Geoff in action. I remember watching this at the time; I was punching the air. Yes! Finally! Somebody telling it how it is; somebody prepared to take the challenge directly to those who dominate policy in our sector. There is a time for thrashing out compromises in backrooms – and I know Geoff can do that well when he needs to – but sometimes leaders need to have the courage to take a stand out in the open. All that remains is for members to dig out those envelopes, tick the box and send back the voting papers to arrive before Tuesday 24th January. If you have a vote and you haven’t yet posted it, please make sure you do. Do it today; do it now. We’ve been given the opportunity to make a choice – let’s make our votes count. « Grammar Schools: Schools that don’t work for everyone.